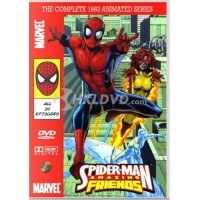 The complete Spider-Man and his Amazing Friends 1983 animated cartoon series in a 2 DVD set. This co.. The complete Spider-Man 1977 live action series in a 3 DVD set. This collection contains all 14 epis.. 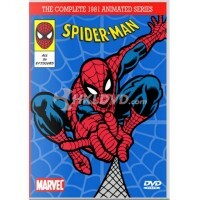 The complete Spider-Man 1981 animated cartoon series in a 3 DVD set. This collection contains all 26.. The complete Spider-Man 1994 animated cartoon series in a 4 disc Blu-Ray set. Digitally remastered i.. The complete Spider-Man 1994 animated cartoon series in a 5 DVD set. This collection contains all 65.. 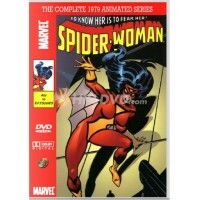 The complete Spider-Woman 1979 animated cartoon series in a 2 DVD set. This collection contains all ..